Just a couple more shares from my presentation at Onstage Local in Minneapolis. 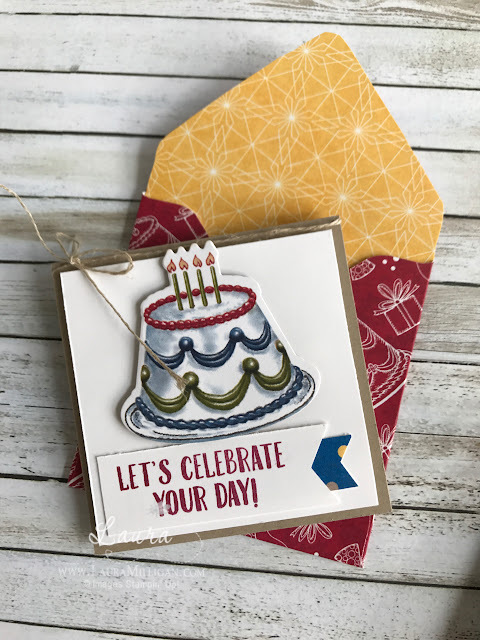 All feature the Birthday Memories Suite that will be in our new catalog that is released on June 1. So many new amazing things in this catalog! If you don't have a demonstrator, and would like a copy, just send me a quick email and I will be happy to send one your way. 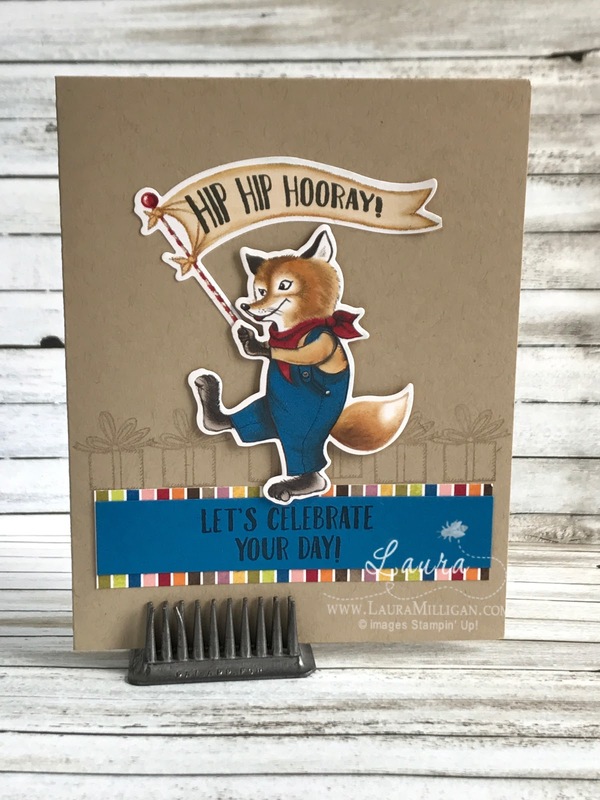 The bundle from this suite consists of the stamp set, framelits and designer series paper pack. 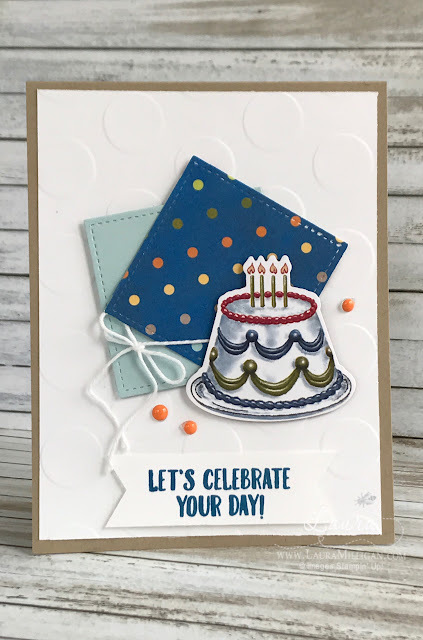 The framelits coordinate with the designer series paper - first time we have had framelits like this! This first card was one of the Make and Take cards that everyone attending the event got to make. So cute - the fox and the banner are both cut out using the framelits - from the designer series paper that is a part of this bundle - this makes it so quick and easy! Here is one more card: this one features the designer series paper as well - I used the Stitched Shape framelits to cut the squares and added some baker's twine and enamel shapes. The cake is from the designer series paper. 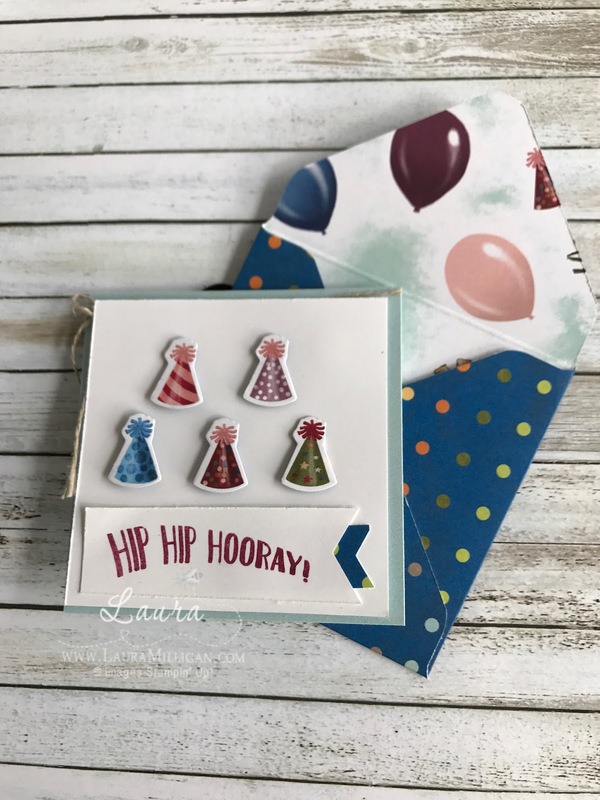 The envelopes were made with the designer series paper and the envelope punch board. 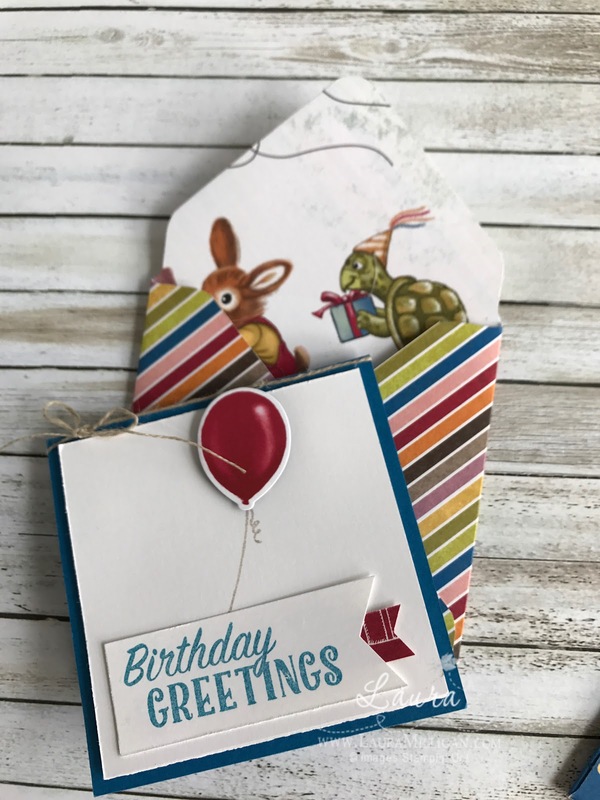 These would be great little cards for a gift enclosure.